Yousuf Karsh was a Canadian-Armenian photographer whose portraits consisted of shadows playing with light. He had a humanistic vision and the revelation of his subject’s personality using photography was the core of his work. Yousuf was born in Mardin, a city in the east of the Ottoman Empire, in 1908. He was brought up in Turkish Armenia in a very modest environment and in some difficult political conditions. He moved to Canada in 1924 when he was sixteen. He lived with his uncle who was a photographer in Sherbrook in Quebec. He attended school there and worked with his uncle who trained him in the photography field. After Yousuf’s uncle recommended him to be apprenticed, he apprenticed himself in 1928 in the studio of John Garo, who was also a photographer based in Boston. John taught Yousuf to see and view his subjects in terms of shadow, light, and form. These three elements became a key feature in Yousuf’s practice. In his entire career, his concentration was on dramatic lighting which is the photographer’s cherished device. In 1923, Karsh opened his photography studio in Ottawa. He made friends with some Canadian politicians who made him meet and take photos of political personalities in that time. His first exhibition was in 1936 in the Drawing Room of the Hotel Chateau Laurier. He moved his studio into the hotel and remained there until he retired in 1992. The Canadian Prime Minister discovered Yousuf and arranged for introductions with the visiting dignitaries for some portrait sittings. His work attracted the attention of several celebrities, including Winston Churchill in 1940. Yousuf’s image of Churchill brought him prominence internationally as a respected photographer. This particular photo is believed to be the most reproduced portrait in the history of the world. Yousuf was appointed the officer of Order of Canada in 1967 and was promoted to Companion in 1990. 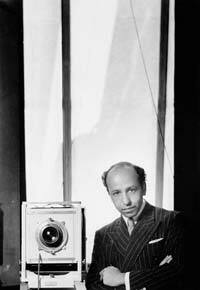 Yousuf Karsh was also known for his several publications and one film. The books contained personal annotations and photographs. He influenced a lot of other photographers to be independent and to motivate other photographers as well. In 1959, Yousuf appeared on the TV show To Tell the Truth as a guest challenger. In 1984, he photographed Rush, a Canadian Rock band, for their album. He was recognized by the National Gallery in Canada in 1989. The gallery organized a large showcase of his works. He also received the Order of Canada Lifetime Achievement award twice in his life and he was the only person from Canada to appear on the 100 names of the International Who’s Who list. His works can be found in various collections around the world. In the 1990s, Karsh relocated to Boston. In 2002, he died at Boston’s Brigham and Women’s Hospital. His death occurred after complications arose following a surgery. He was age 93.